Do you own or operate a small or medium sized business website, blog or personal website? Join our Affiliate program completely FREE and start making extra money by featuring PrintCandies.com products on your site! Not only will you help your site�s visitors find unique and creative gifts but you�ll earn money from all sales that come through your site. PrintCandies.com offers custom printed candies with countless variations to make any event extra sweet. Customers choose their candy type, colors, and special message, logo or photo and wrap it up in their choice of packaging. 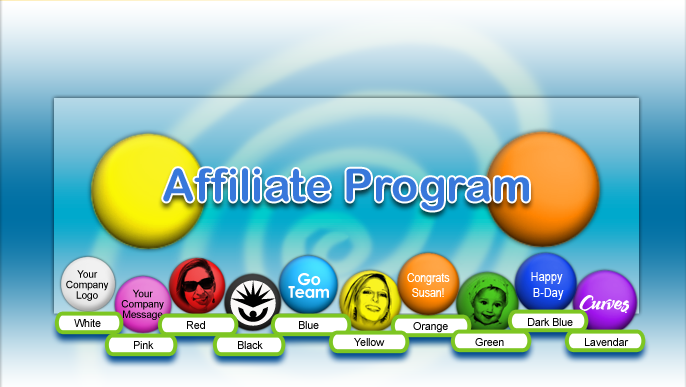 You can earn revenue by joining our online affiliate program and promoting PrintCandies.com on your website. Our program will earn you a 12% commission on every sale referred from your site. PLUS you�ll receive a commission for orders placed within 30 days with our cookie tracking system. Joining the Affiliate program couldn�t be easier. After signing up, you will have your own Affiliate Management account. You�ll be able to create links to the PrintCandies.com home page or to a specific event page, such as birthdays or weddings. Once the links are placed on your site, you�ll start earning money! Our affiliates are extremely important to the success of this company. We will make certain that, as an affiliate, you are provided with the most excellent service. PrintCandies.com has teamed up with ShareASale to offer a simple affiliate signup process, so that you can begin earning commission payments from your website as soon as possible. Please click here to fill out our online registration form to send your already established website URL to us for approval. Once a reviewed you will receive an automatic email regarding your approval status.